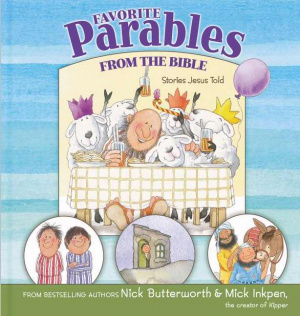 Favorite Parables from the Bible; Stories Jesus Told, from bestselling authors/illustrators Nick Butterworth and Mick Inkpen (creator of Kipper), includes eight wonderful stories from the Bible that bring to life the simplicity and humor of Jesus’ storytelling. Favorite Parables from the Bible by Mick Inkpen; Nick Butterworth was published by Zondervan in December 2012 and is our 6363rd best seller. The ISBN for Favorite Parables from the Bible is 9780310724322. Be the first to review Favorite Parables from the Bible! Got a question? No problem! Just click here to ask us about Favorite Parables from the Bible. Which parables does this book include please?